Nothing shows aging more than wrinkles and gray hair. Although some people start seeing gray hairs in the early twenties, and others have their natural color well into their forties, gray hair can certainly make you look older. But it’s not only gray hair. As we’re getting older, our hair gets thinner, drier and coarser. While aging is natural and nothing to be ashamed of, no one wants to have a hairstyle that is inappropriate, and hair which is damaged and thin. Aging hair needs proper care. Here are some tips which will help your hair age gracefully. As we said, it’s not only graying. Mature hair tends to be a bit flat and lifeless. The texture changes, and sometimes you just have to change your haircut and instead, opt for one of the cuts that make your hair fuller and bouncier. Generally, hair stylists recommend layers, cutting your hair shorter, bangs, and side-swept hair. However, it doesn’t mean that everyone should wear a bob and shorter hair. Find the length that suits your face the best, and steer away from anything that requires too much styling. Mature hair is also the hair that is probably dyed frequently and regularly, unlike the hair of a younger person who doesn’t need to cover up grey hair and dye it so often. Aging hair gets fine and delicate, so hair dyes can easily damage it, and make it brittle and coarse. 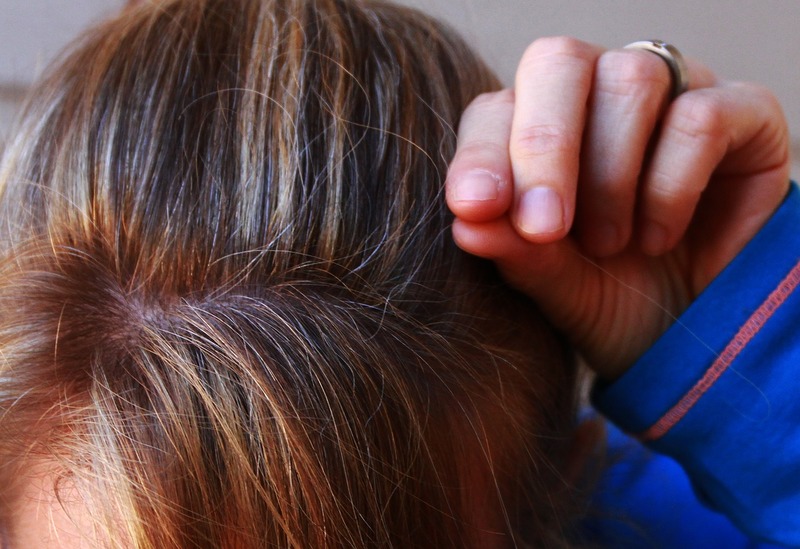 Find a hair color without ammonia and peroxide that can still cover the grays, while being as gentle as possible. As we get older, the hair’s sebum production slows down, leaving the ends dry. Use a gentle shampoo, don’t wash your hair more often than it is necessary, and don’t forget to use a moisturizing conditioner. Aging and hair loss are tightly connected, and whereas sometimes you cannot prevent hair loss, you can still make it appear as thick and full as possible. Here are the tips for getting fuller hair. You’re welcome! There are certain vitamins, minerals and herbal additives that seem to have anti-aging and anti-thinning effect. If you use vitamins for hair growth and thickness, and Catalase supplements, your hair might become fuller and look more vibrant. CatalaseNow hair pill contains ingredients that may help you achieve this. In addition to that, the hair pill is packed with Catalase – the enzyme which helps break down hydrogen peroxide, the main culprit for the diminishing vibrancy of your hair, and the possible reason why your hair is graying. This entry was posted in hair care and tagged aging hair, antiaging products, catalase supplements, fuller thicker hair, hair supplements, hair thickening vitamins, how to care for aging hair, how to get fuller hair, mature hair, right cut for mature hair, supplements for thicker hair on December 9, 2016 by Nina Ivanovic.